Mars is in Pisces sign. 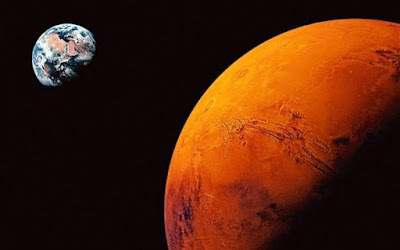 Mars is the lord of Aries sign. Therefore, Mars become very strong. It increases fire element. There might be risk of deuce. There would be improvement in real estate field. Conditions will improve in defense. However, there might be problems with neighboring county. There might be earth and fire accidents. Conflicts increases in people. People might oppose against government. Aries: Children and luck will improve. Taurus: Take care of your eyes. Gemini: There will be financial benefits. Cancer: There would benefits from a change in career. Leo: Self-confidence will increase. Virgo: Take care of your marital life. Libra: Conditions will improve in business. Scorpio: Avoid conflicts. Sagittarius: Pending work will finish. Capricorn: There would be property benefits. Aquarius: Take care of your ears, nose and throat. Pisces: Financial problems will be solved. Chant Hanuman Chalisa in front of Sun every morning. Offer red flower to lord Hanuman on Tuesday. Eat jaggery before leaving the home. Use less red color. Good Luck: Mind and body become fresh if you sleep in green light. It reduces stress and depression.